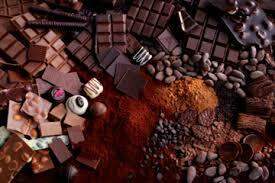 Regular consumers of chocolate are about 42% less likely to develop cardiovascular heart disease. The researchers included Dr. Chun Shing Kwok, S. Matthijs Boekholdt, Marleen A. H. Lentjes and others from the Medical Schools at the University of Manchester, University of Aberdeen, University of Cambridge, the Academic Medical Center in Amsterdam and other research institutes. They used data from the massive European Prospective Investigation into Cancer (EPIC) study. (You may recall that we’ve referred to other research reports stemming from EPIC). They isolated a qualifying group of 21,000 adults in the UK who have participated in the study for about 12 years. The data recorded for that group included frequency of consumption of chocolate (or no consumption). Over that 12-year period, about 9.7% of those individuals who most consistently enjoyed chocolate developed cardiovascular heart disease (CHD), compared to 13.8% of those who consumed the least. Occurrence of stroke was even more pronounced at 3.1% of the real chocolate lovers having a stroke compared to 5.4% of those who ate the least. Link to the research here. Grab a hunk of dark chocolate. After all, it’s for your heart. We’d like to offer chocolate to our customers, but shipping it requires all kinds of refrigeration and special packaging. Better left for other purveyors. But we do have some very fun educational toys, which are on sale for just a little longer. Grab them now while supplies last. Every issue of our newsletter has brain-building tips. Sign up at www.BigBrain.Place and get our fun, science-based 9 Simple Steps to Build a Bigger Brain infographic. Excerpted from our upcoming book: The Bigger Brain Program. Copywrite 2018. All rights reserved.